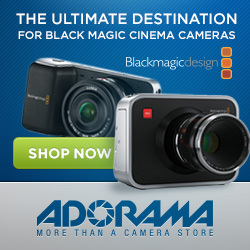 Hybrid Camera Revolution: Blackmagic URSA pre-orders shipping - first footage from the wild! 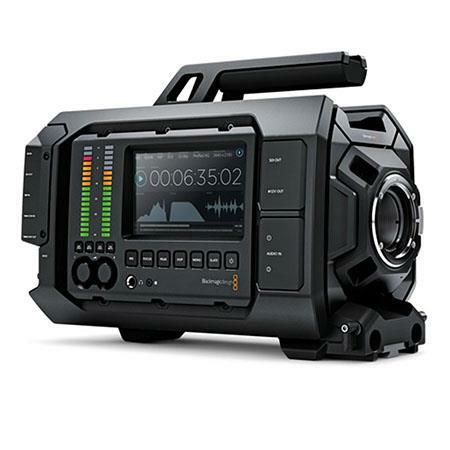 Blackmagic URSA pre-orders shipping - first footage from the wild! The 4K Super 35 Blackmagic URSA, introduced at NAB 2014 in April, has started shipping. Guy Fiorita at New York production house Shout Chorus appears to be one of the first shooters in the US (and one of the first shooters without a connection to Blackmagic) to get his hands on the camera - and has taken the time to post a mini-review plus few NYC street scenes (video after the break). Guy didn't have the shoulder kit, so URSA wasn't on his shoulder very long and he used a tripod for most of the shots. But he also says that the camera's weight isn't a deal breaker. I'll let Guy's review and video speak for themselves, but at $5995 (EF version) or $6495 (PL version), shooters might be willing to put up with a little extra weight to get 4K (UHD) RAW or ProRes at 60p plus a global shutter. Goodbye CMOS skew and "jello-vision"! You would have to pay $28,990 to get UHD/60p and a global shutter from Sony.